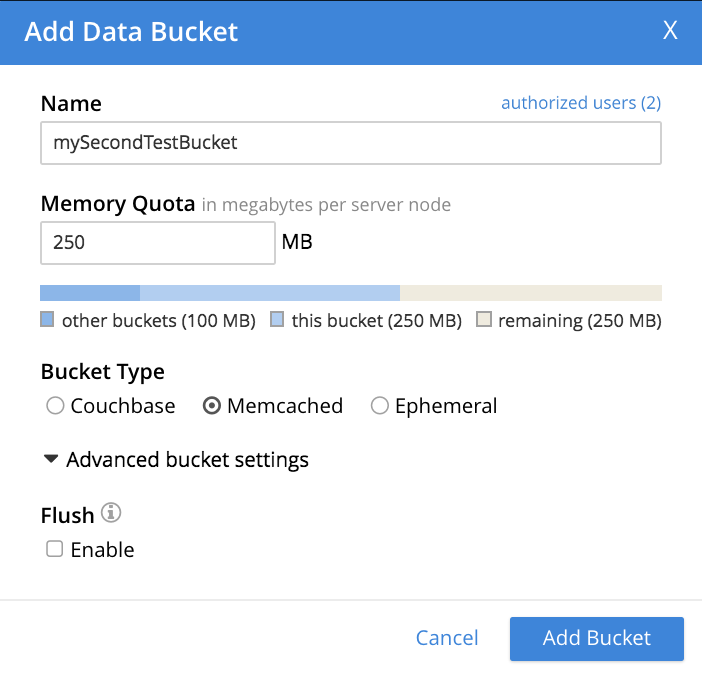 Ejection Method: For Couchbase buckets, the options are Value-only and Full. If Full is selected, everything (including data, metadata, key, and value) is ejected. If Value-only is selected, only data is ejected. Generally, Value-only ejection favors performance at the expense of memory; and Full ejection vice versa. See Database Engine Architecture, for more information. 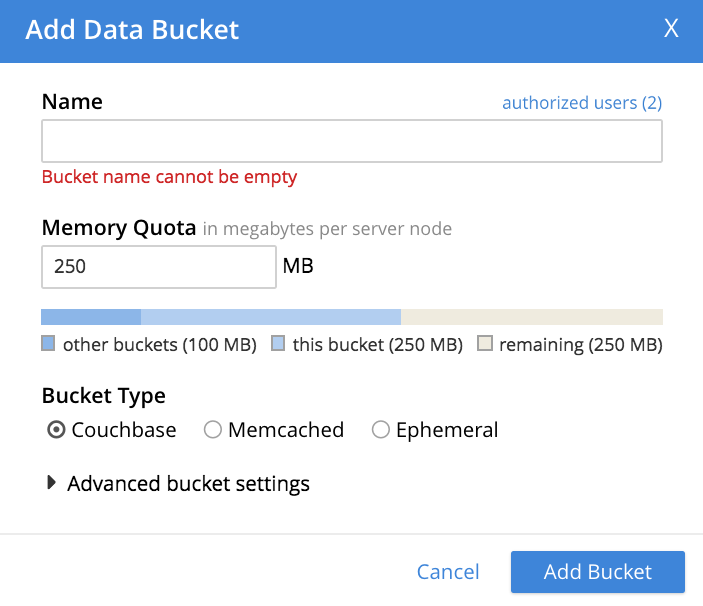 Note that ejection in the context of a Couchbase bucket means removal from memory, with continued persistence on disk. Radio-buttons allow Default or High to be chosen. 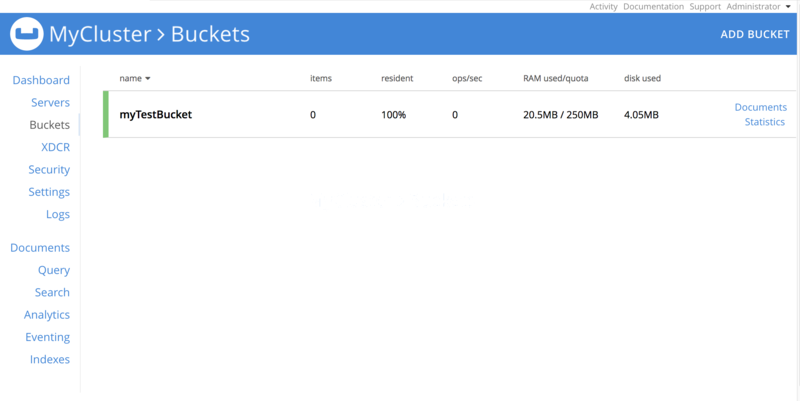 These settings determine whether the bucket’s tasks are enqueued in low or high priority task-queues. Specifying High may result in faster processing for the current bucket’s tasks. However, the specification only makes a difference when there is more than one bucket defined for the cluster, and when those buckets are assigned different priority-values. See Database Engine Architecture, for further information. 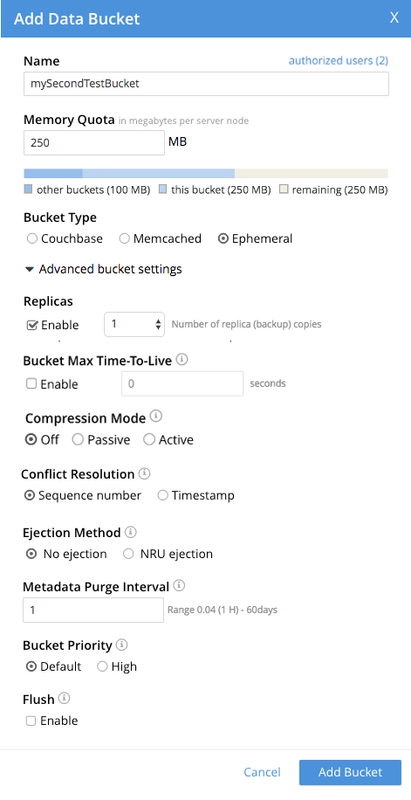 The settings Conflict Resolution, and Flush are identical in functionality for both Ephemeral and Couchbase buckets.